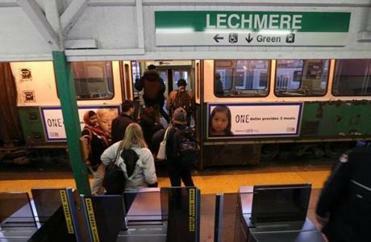 A Green Line train pulled into Lechmere Station. 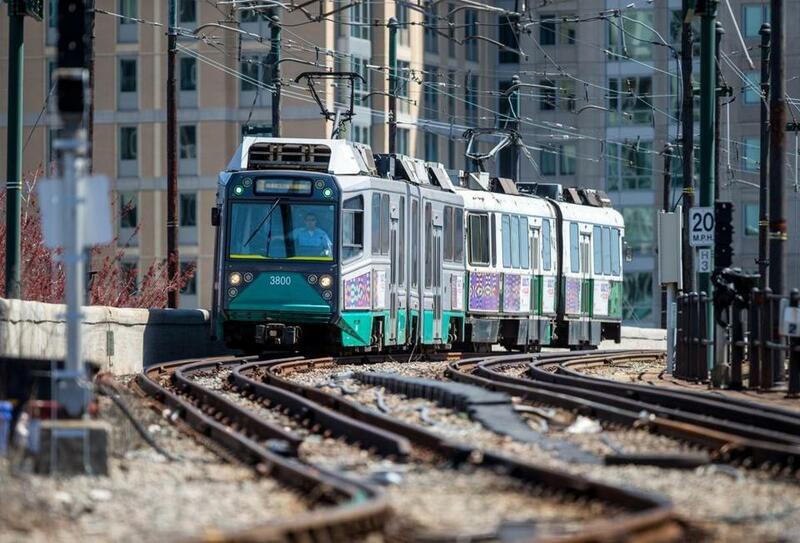 State transit officials are preparing for key meetings Wednesday and Thursday to review the long-stalled Green Line extension, one day after Governor Charlie Baker said the project has the apparent blessing of President Trump. The meetings were scheduled last month, he said. “The project team is well prepared for these meetings, and looks forward to a productive discussion with FTA officials,” Pesaturo wrote. His comments came after Baker, a Republican, told the Globe in an interview that the Trump administration had recently circulated a list of priority infrastructure projects that included the Green Line expansion, planned for an extension into Somerville and Medford. The state is hoping to win about $1 billion in federal funding for the project. The expansion is one of dozens of infrastructure projects nationwide that were highlighted by the Trump administration, according to a copy of the list obtained by the Kansas City Star newspaper and posted to the McClatchy website on Tuesday. A widening of a 20-mile segment of Interstate 93 in New Hampshire is also on the list. Rafael Mares, a senior attorney with the Conservation Law Foundation, which backs the project, welcomed the news that the expansion is on Trump’s radar. The White House did not respond to a request for comment Tuesday night. When completed, the Green Line would be extended from a relocated Lechmere Station in East Cambridge to Union Square in Somerville and College Avenue in Medford. The project has long been beset by delays. In August 2015, the state revealed it could be $1 billion over budget after officials had designed elaborate stations and ignored looming problems with a relatively new contracting process. The T essentially halted the project, canceling contracts with the consortium that had been hired to design and build the extension. Under the new preliminary schedule, a new team of contractors should be selected by the end of 2017. John Dalton, project manager for the $2.3 billion extension, said in December that seven new stations for the extension are now scheduled to open in 2021. Jim O’Sullivan and Nicole Dunca of the Globe staff contributed to this report. Travis Andersen can be reached at travis.andersen@globe.com. Follow him on Twitter @TAGlobe.